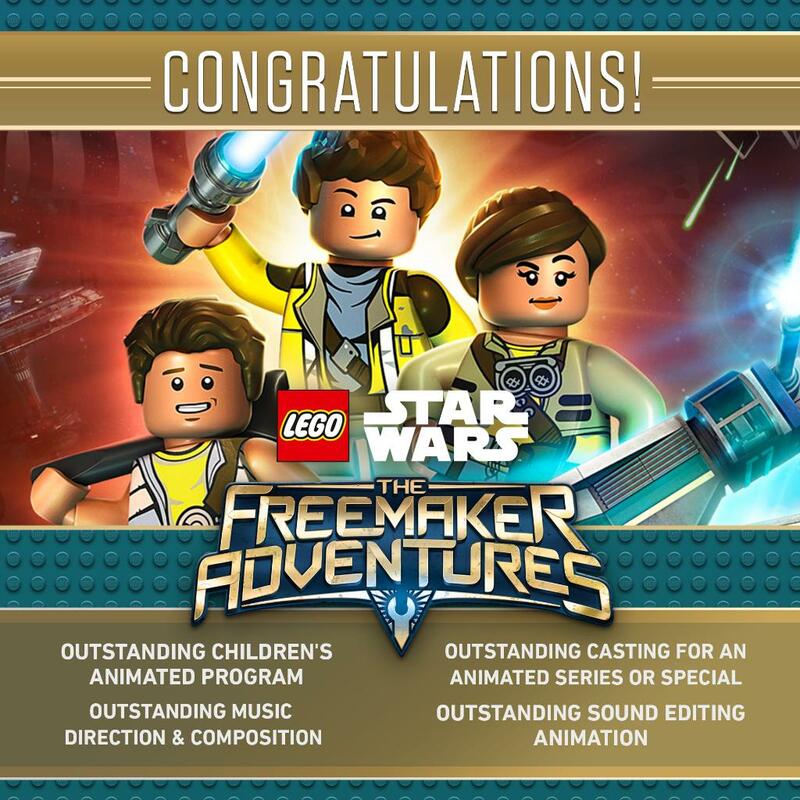 The Disney XD series Lego Star Wars: The Freemaker Adventures has picked up four Daytime Emmy nominations. The series, which wrapped up its thirteen episode first season last August, was nominated in the following categories: Best Children's Animated Program, Best Casting for an Animated Series or Special, Best Animation Sound Editing, and Best Music Direction and Composition. The Daytime Emmys Awards ceremony takes place on April 29th. 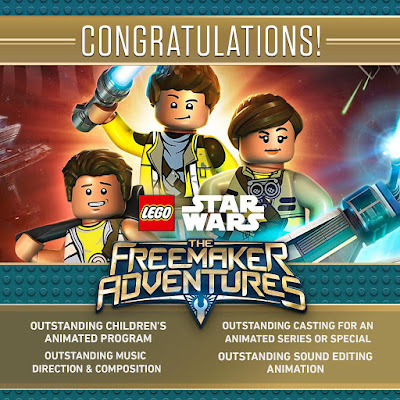 Congratulations to the cast and crew of The Freemaker Adventures on their success and best of luck on April 29th!